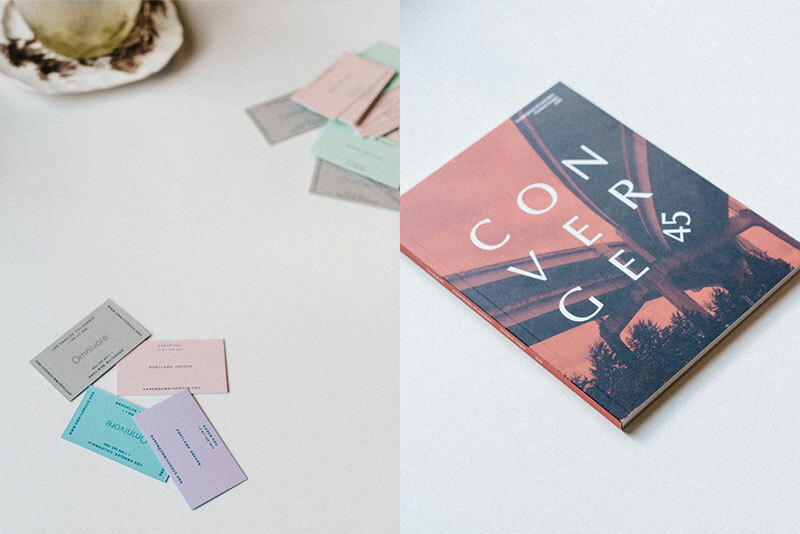 I moved to Portland about two years ago and I was worried about not knowing anyone in the Portland design scene. About nine months ago a friend of mine was visiting from New York City and we planned to meet up at a bar Downtown. Walking past the bar I noticed a familiar face. Too nervous to say, “hello” I continued to wait outside until my friend arrived. As it turned, he had arranged for all of us to meet up! Furthermore, I had already met this familiar face while living in New York City. 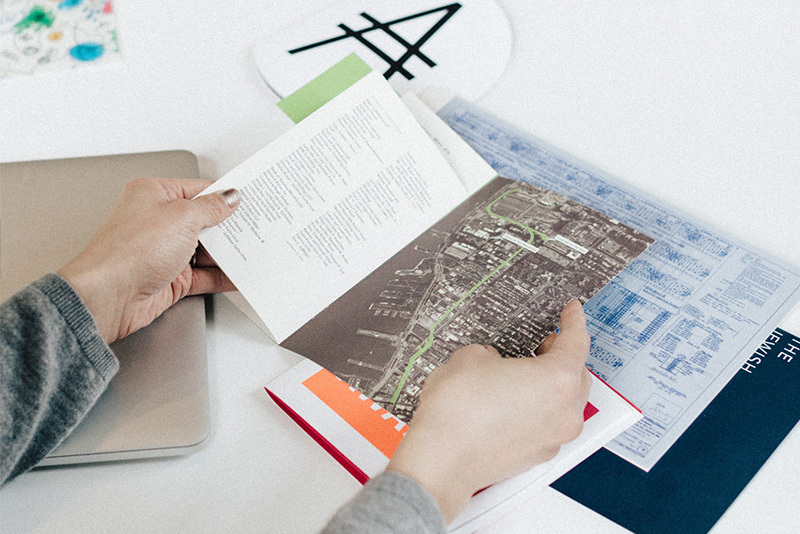 So, I did know someone in the Portland design scene: Karen Hsu. However I’m going to guess that most of you don’t know who Karen is, or have even heard of the design studio: Omnivore. 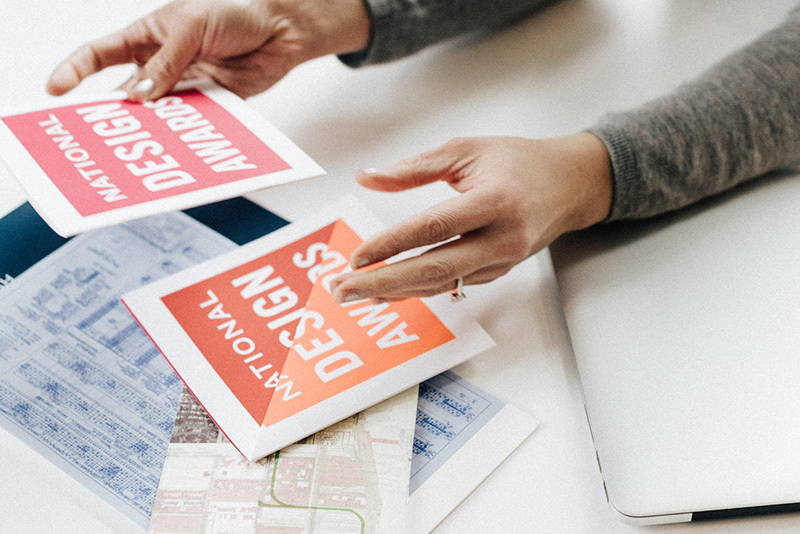 There are A LOT of designers in the Portland area we don’t know about, and some, like Karen, who have as much credibility and is a stakeholder in defining the Portland design scene. 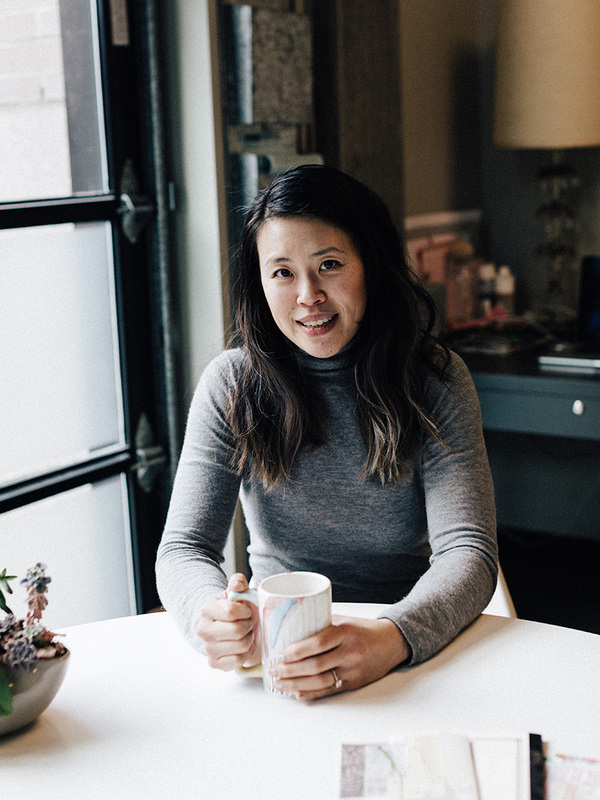 Karen Hsu is the co-founder of the women-led design atelier, Omnivore. The studio has three locations: Brooklyn, Los Angeles, and Portland. With each office led by a designer-mother-business-partner, respectively: Alice Chung, Julie Cho, and Karen Hsu. For our Portland Chapter, this article will focus on Karen’s story. Her pathway out-of and back-to Portland. The remote nature of her Portland operation, the business, and her disconnected relationship with the Portland scene. If you’re looking to start out on your own, partnering with a best friend or your husband, while trying to raise a household, and be a successful, passionate designer; her story may be the primer to your next adventure. 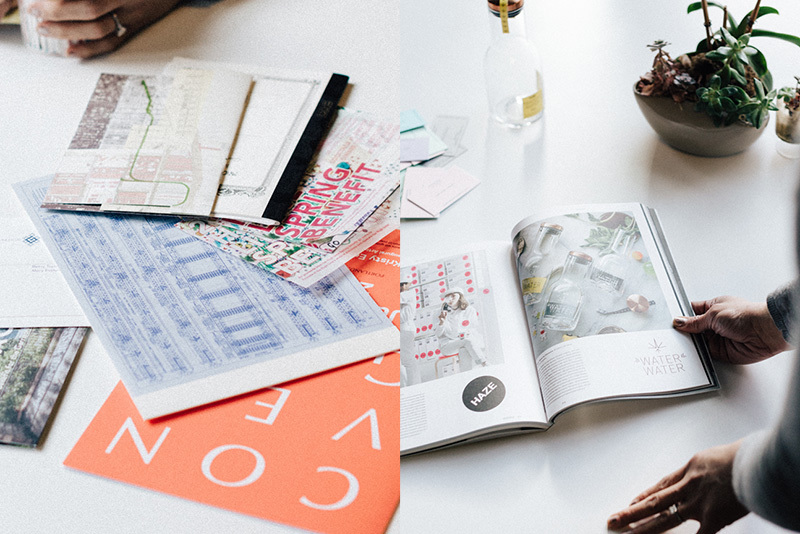 When did you know you wanted to become a designer? Where did you study and where did you work? I grew up in the suburbs, in the Beaverton area, and was probably an accidental designer beginning in High School, creating posters for the drama department and working on the school newspaper and literary magazine. In college, I fell into graphic design as a major. I was too afraid to declare Fine Art or English, and Illustration had been cut as an option. So, it was another accident. But it ended up seeming right. I love that design communicates through words and images. I got my BFA from Oregon State University — I’m a native Oregonian! And then I got my MFA from the Yale University School of Art. That’s how I ended up out East. After graduate school I moved to New York City. While I was waiting to start at Number 17, I freelanced at the Wieden+Kennedy’s New York office. It was a summer freelance job, a really fun environment. That was my first summer in New York City. I had just moved, painted my tiny new apartment. After that summer, I only worked for former professors. First at Number 17, and then at 2×4. Alice and I met at 2×4. Did you work between OSU and Yale, or did you go straight to graduate school? I worked in Corvallis between graduating from college and leaving for graduate school. While in college, I interned at Nike. My teachers had coordinated the internship opportunity between Nike and the OSU Design Department. I freelanced at Nike a little but decided to stay in Corvallis because of boyfriend problems. I found a job at a desktop publishing company — DTP! I helped create illustrations for a Hydroponics magazine and designed a book on marijuana. I was so uptight and uncomfortable that I used a fake name for the design credit. I like thinking I helped bring Emigre fonts into the marijuana industry. I also worked for an OSU Art History professor. He had a few recent graduates working on an interactive project to accompany one of his art history books. It was really interesting to be given so much freedom while being so young. In college, I was big fan of Emigre, Ray Gun, and the work being produced at Cal Arts and Cranbrook — it was the 90s. At the time, I thought that one of my goals would be to teach. That was the practical side of wanting to go to graduate school, as well as the desire to be immersed in a focused and passionate design education environment, to have more time to figure things out. My hope was that graduate school could provide the space to work out the questions I held for design in my life: self-initiated work, socially impactful work, regular work in the purely professional sense. I think we were really well-prepared from OSU to enter the workplace. But I wanted a place where I could create work on my own, where I could have two years to just make stuff and discover what design could be. I had a lot of ideas for what I wanted to do during graduate school. But there was a shift in balance between where I was in life and how that affects one’s decisions. Yale became my first choice. I also applied to Cal Arts, Cranbrook, and Rhode Island School of Design (RISD). It’s funny, because I remember Yale’s printed informational materials to be so light-handed in design that I thought, “why go to a design program that — you know — doesn’t really design its materials!” Visiting the different schools played a major role in deciding on where I wanted to go. I am so grateful my parents helped me visit each school. Visiting the schools provided the chance to more closely see the student work and overall environment. How did Omnivore actually start? Omnivore is 15 years old. It must have started over dinner and drinks! Alice and I would go out after work. We knew we could work together because…we worked together. Back when my husband, David, and I were dating, we also used to take on joint freelance projects. We would come home from work, and work more together, go to client meetings on the weekends. To a point, a pre-Omnivore dream was that he and I would form a company together. That didn’t work out, but we’re still married. That said, Alice, Julie, and I have joked that we’re each others’ wives. The official decision to start our own studio came when we were given the opportunity to create a user’s guide for an architect designing a SoHo loft. The space was complex and the manual would also document the unique materials used. The architect approved our proposed fee and Alice and I decided to leave 2×4 (although we ended up staggering our departures). The project that inspired us to leave actually fell through, but other work came our way. A lot of our friends thought we were crazy for going off on our own so soon after September 11th. The climate of the city was still one of recovery. My parents were still pleading with me to come back to Portland. Tell us about working remotely. Julie was with us for a long time, too, before becoming a partner: she freelanced with us first, was working with us before my daughter Scarlet was born. Julie moved to LA before we moved to Portland. It felt like a comfortable precedent to know that Julie had been working from the west coast and everything was OK. I was nervous, and still worry to this day. My project load is still very dependent on older east coast relationships. I’ve been really lucky that everyone’s been accepting of the fact that I’m not there, where they don’t have to see me. Alice, Julie, our designer Jacqi, and I have actually become better at Skyping each other in to meetings when we can. I think that’s an interesting part about how we’re evolving. You could say that, there was a period of independent noses-to-the-computer. Maybe it is because the kids are getting older, but we’re moving into a process where we’re able to work more organically with frequent critiques and brainstorming via text, email, phone calls, and Skype. My family is all here. That is the dominant reason why Omnivore has a Portland presence. My parents, my sister and her husband, my brother and his wife and their two kids are here. My mother-in-law moved here from Chicago. My husband and I have two kids. Besides coming here for family, we felt Portland was already a wonderful, adventurous place to raise children and nurture a creative life. How does Omnivore manage being in three different locations and having three different partners? What’s the structure? Our structure is no structure! We basically do everything. We share that in different ways, where within various projects we’re all doing something really production-based or something much more conceptual. Some of my favorite collaborations are the ones where we have been able find the time to circulate and share files and sketch collectively. It’s really project dependent. We each have certain projects that are kind of like our babies, that we individually manage. It’s just easier for a client to not have to question who to contact. For example, I am managing a logo project. Alice, Julie, Jacqi, and I all sketched on it and shared files. We have multiple internal shared rounds of revisions. We’ll get on Skype and talk about what we like, what we don’t like, how we can evolve the designs for the presentation. And then we individually do a few more rounds. But the person who manages will make the final adjustments and put it all together. It’s like taking advantage of the collective mind of the group. And it’s also practical. It would be impossible for us to manage a workload where we were all involved in every aspect. So we really have to depend on each other and trust each other to make certain decisions on our own. I love that we can depend on each other for key feedback. For one project, I was feeling really neurotic and I kept texting “is this rag better than this one?” with screenshots. This is where having a designer husband is nice, too. I cornered him for advice on that project’s visual logic. So you have a website, which doesn’t portray much, and you have an Instagram account that also doesn’t portray or show off much of your work. Knowing the company is roughly 15 years old, how do you find your clients? We have been really lucky. Nearly all of our work has been through word of mouth. Clients will recommend us or people will see something that we’ve done and reach out to us. We have been really, really lucky. For the most part, everyone we work with and who we continue to work with are all really good people, interesting institutions and organizations. Our old website was like a litmus test for who was willing to work with us. Our new website is not very informational, but we’re working on that. We often wonder about how can we try to get more of a certain kind of work and whether that’s what we want. Internally we’ve described ourselves as a “mid-career firm.” We lose some projects because we’re not able to afford to take on work that isn’t at least slightly financially prudent. Because we have children to feed, health insurance to pay, homes to support, and so on. It’s all really different than when we were younger. When we could do more for less. But we’ve talked about how in that balance, the reality is that there is work for everyone. We might lose one project, but gain another. The project we lost will go to someone else. It’s just life and out of our control. Over the course of your career have you encountered any obstacles or inequities specific to your gender and what have you experienced? I think as we get older, it’s been interesting to be female, in a positive way. Alice and Julie and I manage a very different client mix. Nearly all of my direct clients are women, with the exception of a dear longtime collaborator and a couple of men. Everyone is really understanding of the life/work balance. There is definitely comfort knowing that we share the personal complexity of being working mothers. I try to never use family chaos as an excuse for anything that has to do with work — the outward-facing part of work — but it is nice to know that for the most part, I could say, “My kid is vomiting on me, can I send it to you later?” And they will understand. But they also know, I WILL send it to them. When we started Omnivore, we didn’t have it in our minds, “what would be the best work environment as older parents?” It’s all been really accidental and a point of luck in the universe that Omnivore has become what it is. I don’t know how I would get through the day without the flexibility that working on our own gives us, as parents. My entire work life has been seeking work-life balance. There’s a degree where work and life are the same thing. Where you walk into a restaurant and look at the logo, the menus, the choice of chairs. You can’t move through the world without seeing things through design’s eyes. But then, there is the other side of getting kids to school, getting dinner on the table, making sure they are bathed, teeth brushed, and ready for bed. That they’ve done their homework. My husband and I joke that we work a morning shift before breakfast, then have our work day — and then leave earlier than one normally would in order to pick up the kids from school (our oldest, our daughter is in after school activities everyday) because of the combination of traffic and our commute — and then we work a night shift. There are actually two night shifts, one after dinner — though when I’m under deadline, I either have to duck out of dinner altogether or after dinner I’m not helping clean up — and then there’s the late night shift, after the kids go to bed. I used to rely on the late night shift. But somehow with age — I can’t stay up so late at night. Because we work on our own, our schedule is in our hands and we are mobile instead of being office-bound. 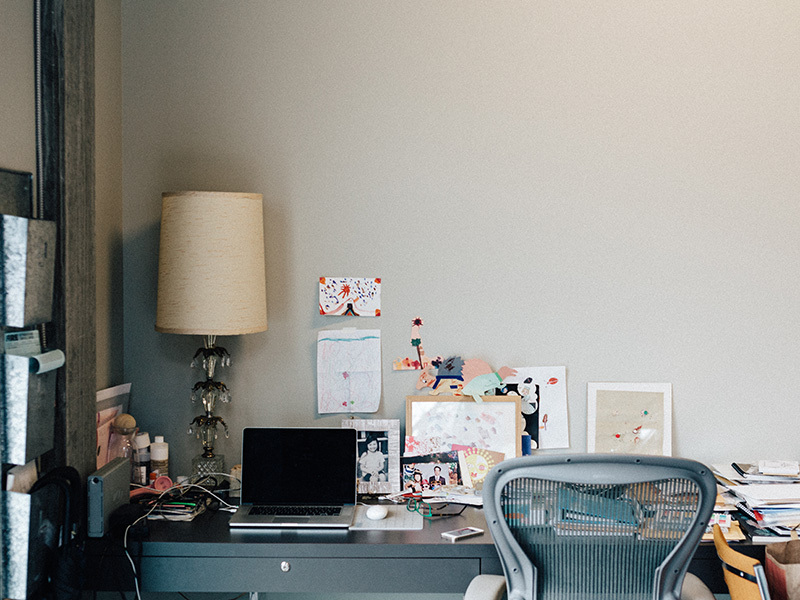 This office space could be anywhere: a basement, kitchen table, Disneyland. I can work from home when I need and when we leave town — I get to work too. What’s the hardest part about working in or with the Portland community? Even though I grew up here, I really don’t know much about the Portland today. I don’t have a history of being part of the art and design communities here, and as a parent, it’s not like we’re getting babysitters every weekend so we can go out. Nurturing local relationships as a parent is much more difficult. I feel isolated. I miss the people I work with, they’re all good people. It’s really a shame to only email, and maybe, once in awhile, hear their voices. I’m really grateful that my East Coast work has remained stable. But at the same time, I feel like a ghost. Clients don’t see me and I rarely see them. I’m kind of living here, kind of not. Kind of living there, kind of not. And even with the time zone difference, it’s not like I’m cutting my day out at 3:00pm for happy hour. Do you have any advice for the Portland community when it comes to starting a studio here? I actually think it’s really healthy for a designer to find their own freelance experience outside of their day job. I would say that added experience plus watching your leaders and bosses — how they conduct business and see how they interact with clients — those are really wonderful ways to learn. The business side of design isn’t always part of school. The whole idea of structuring your process around the fee was something that we learned the hard way: to outline how many options you’re showing, how many presentations you’re making, how many rounds of revisions you are willing to provide. I remember having projects where it felt like a never-ending vortex of noodling. Because we didn’t make it clear and we just didn’t know any better. It’s important to learn how to structure your process. That said, with many clients, we try to be flexible — where we know how they work and have a good rapport with them — so some little things don’t really matter. Many projects are for flat fees. We hope we’re coming out OK in the end. I think for women — especially now that I’m an older woman and a mother — the question of how work intersects with family is one of the biggest questions I never asked myself when I was younger. Our life and work just happened. Work luckily evolved to follow our lives. That’s actually one place where — Alice and Julie and I — we’re all kind of in the same situation, trying to juggle getting kids to school and our jobs. And we’re all really lucky to have husbands who are helpful. And family not too far. That’s actually a good kind of point of stability. Sometimes, we’ll feel a little envious of someone’s amazing work, and jokingly remind ourselves, “They don’t have kids!” Is that terrible? No. It’s amazing! You’re just as awesome as, if not better than they are! In a sentence, what does the next five years look like for Omnivore? I hope that it is good!